Shoot for the stars first made is appearance back in 2013,but for some strange reason I haven’t tried it till now. This is an absolutely stunning bath bomb. It has the most wonderful design. It’s main body is a vivid blue an it has yellow stripes running around its centre. 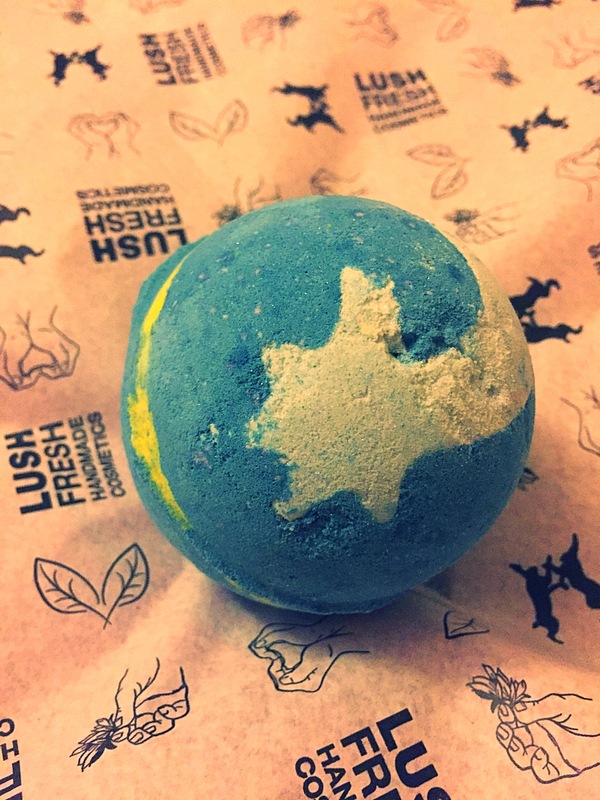 To finish this bath bomb off beautiful if a enchanting white shooting star which makes this bath bomb match it name perfectly. Although it was the bath bombs look that drew me to it and not its scent, I was actually pleaseny surprised that it’s scent was just as Devine as its look. 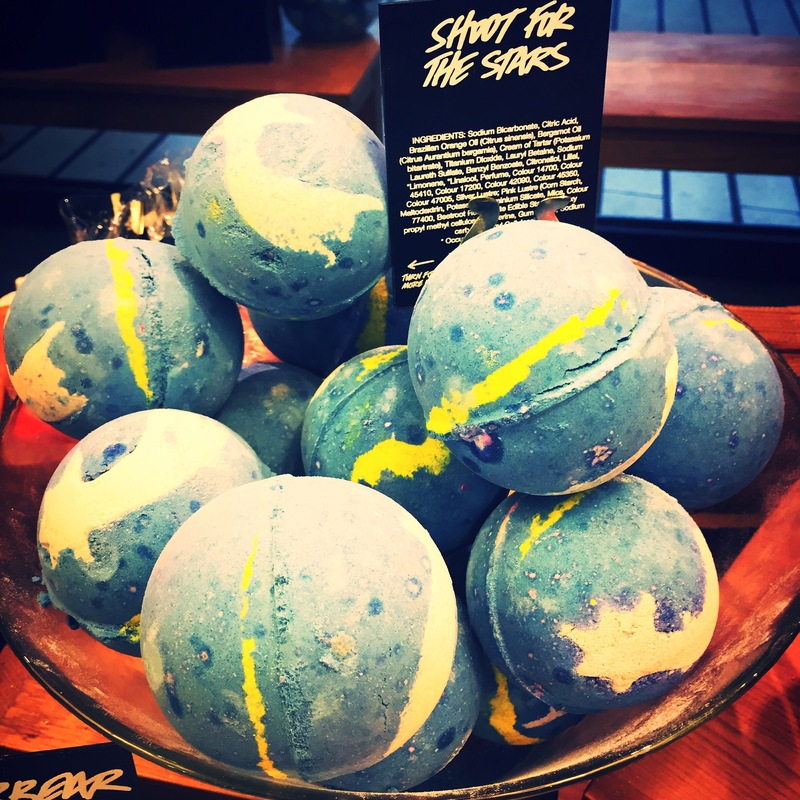 The shoot for the stars bath bomb is a very sweet smelling bath bomb. The scent reminds me of a sweet toffee or Carmel smell although I did find it quite hard to describe exactly how this bath bomb smelt. 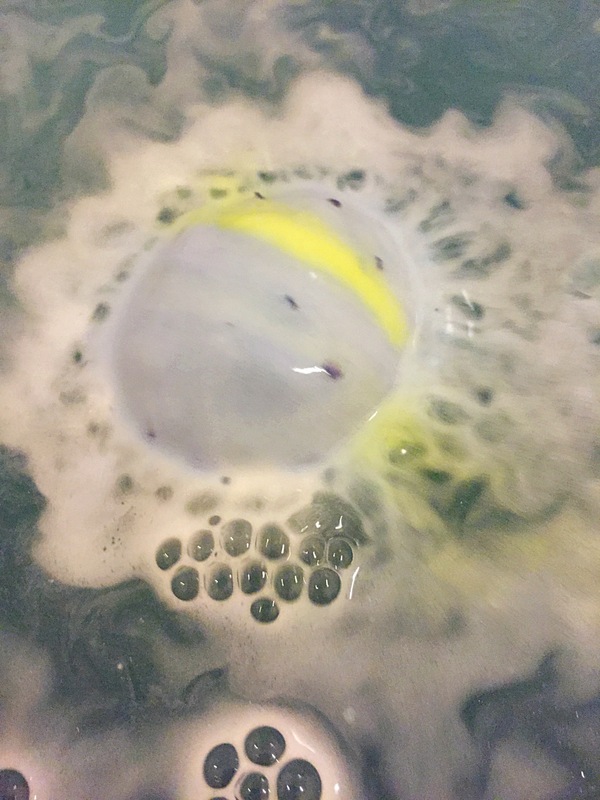 The scent from the shoot for the stars bath bomb lingered around for ages. It also contains Brazilian orange oil and bergamot oil as its main ingredients which help to create a refreshing and uplfting bathing exsperience. Once popped in the water it slowly starts to fizz away creating soft creamy foam that floats across the top of the water. 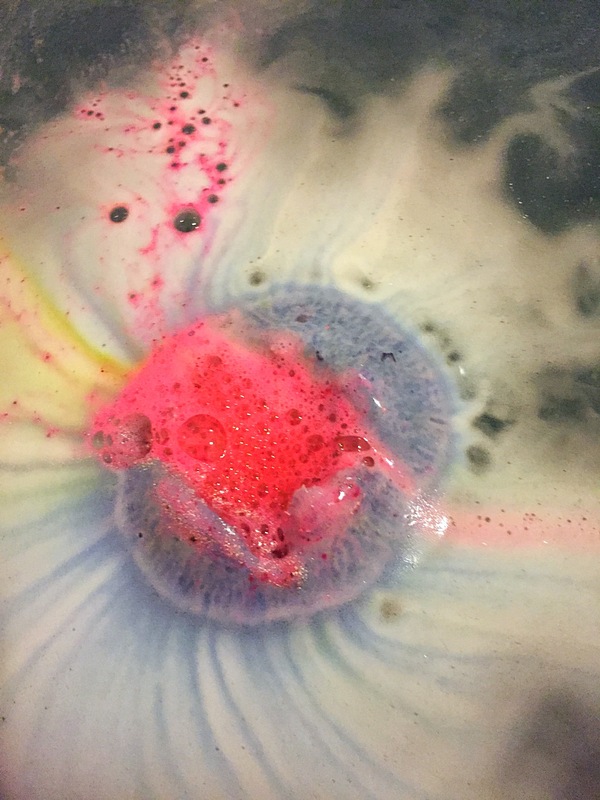 Comoared to some of the other lush bath products, shoot for the stars is quite a slow fizzer but during this time it puts on the most spectacular show. 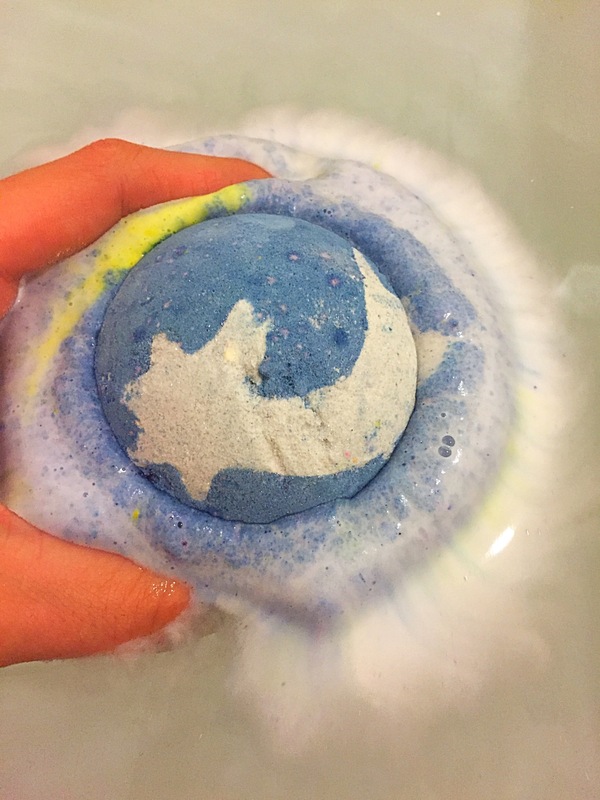 Once the outer layer of this bath bomb has completed dissolved and filled the bath the beautiful blue white and yellow foam, it hits the centre and starts to fizz a little bit faster. When all of a sudden an explosion of pink erupts from its core, creating the most fasinating spirals and whirls on the water. Overall I have fallen in love with the bath bomb and just wish I had tried it a bit sooner! I will definatly be stocking up on enough of these to last me through the year. Ingredients – Sodium Bicarbonate, Citric Acid, Brazilian Orange Oil, Bergamot Oil, Cream of Tartar, Lauryl Betaine, Sodium Laureth Sulfate, Propylene Glycol, Perfume, Gardenia Extract, Titanium Dioxide, Benzyl Benzoate, Butylphenyl Methylpropional, Limonene, Linalool, Colour 14700, Colour 45410, Colour 17200, Colour 42090, Colour 19140:1, Silver Lustre, Pink Lustre, Yellow Lustre, White Edible Stars.